I am back from Africa, after a very busy tour of western Kenya with the SHIP team from LSU School of Medicine in Shreveport. Drs. Don and Amy Givler and I had the opportunity to supervise a fantastic group of residents and medical students from LSU, providing mobile health clinics at 18 sites over the month of February. After a 45 hour trip home (about half of that layovers in airports), we arrived Saturday night, and I have spent most of my time since then sleeping, doing laundry, and trying to recover from the jet lag. It is a bit odd to have missed a third of our winter in Louisiana. 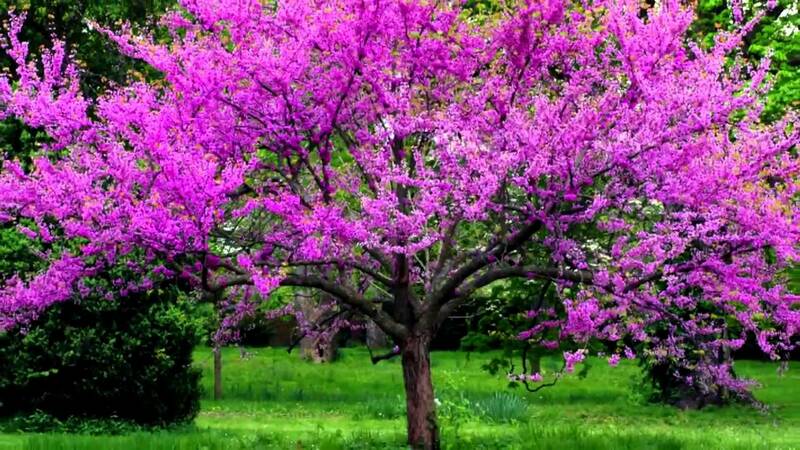 Some of the trees are beginning to green up, and their are blooms on the Japanese magnolias and redbuds, and even a few azaleas are blooming. Did I miss much? I will probably have more to say here about what the month in Africa meant to me personally. In the mean time, I am getting back in the groove of my life here in the good ol’ USA. Posted in Uncategorized. Tagged Kenya 2016, LSU School of Medicine in Shreveport, LSU/SHIP. 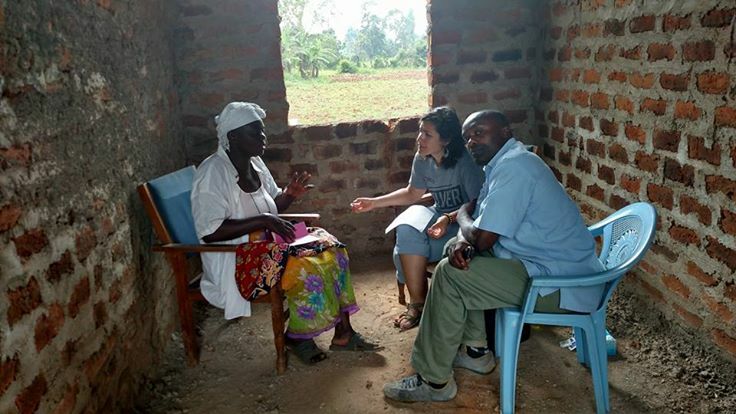 Today is our last day at the ICODEI compound at Kabula, Bungoma County, Western Kenya. We went “not far” down the road to Bulimbo, a revisit to the unfinished clinic building in the Malandisia neighborhood. The building was unchanged, in spite of the local promises of a completed building. Organization was a bit lacking with Mama Joyce in Nairobi, and only a few patients showed up for our clinic. 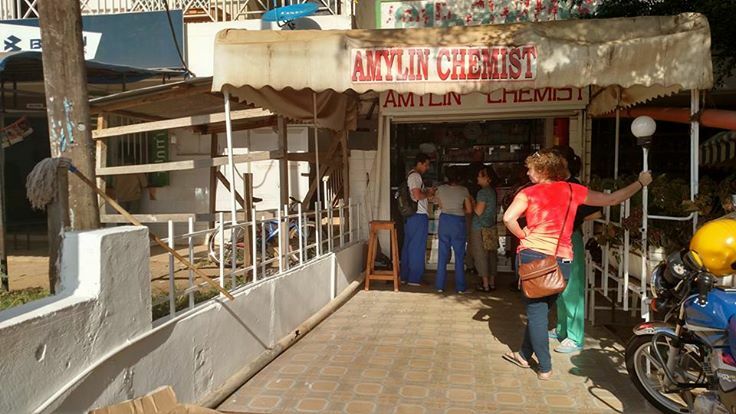 Some members of the team took the opportunity to organize the pharmacy. We ended up with 20 patients seen, and came home early to pack. The rest of the afternoon has been spent relaxing in the shade, playing ping-pong, and watching the weaver birds begin nest-building in one of the large trees in the compound. Time to go home. A bit bittersweet, as I look forward to being with friends and family at home, but I will miss our friends and family here in Kenya. I will miss awakening to the rooster crowing and the sound of the community water pump outside my window. I will miss the amazing breakfast of fresh mangoes, bananas and papayas. I will miss the camaraderie of the team of US volunteers and Kenyan healthcare workers and translators who have bonded into a cohesive unit (if not a well-oiled machine). I will miss chai time in the evenings, and the lively discussions at dinner. The LSU/SHIP team came to Kenya to provide needed healthcare to a grossly underserved people, and we have done that within our limitations. 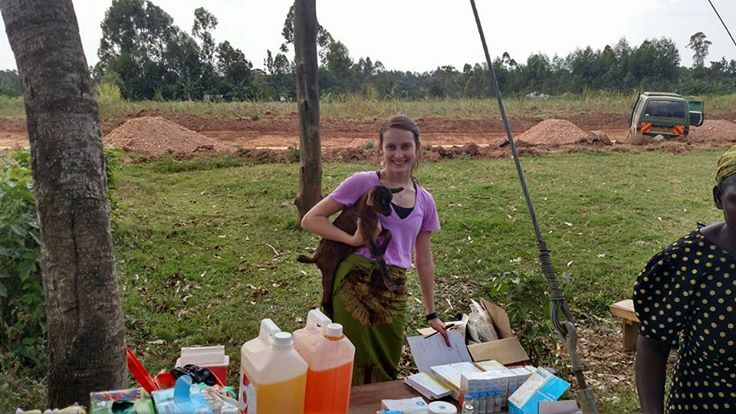 We also came to learn, and the Kenyan people have taught us not only about tropical medicine in a third world country, but about tenacity and perserverence in the face of adversity and a hostile environment as well. For me, this adventure was also about sharing the love of Jesus Christ in Kenya. I pray that I have done that to the best of my ability. The Gospel is shared widely in Kenya by Kenyans as well as missionaries; I see my job as demonstrating the love of my fellow man that Jesus taught. And I give all the glory to my Heavenly Father, lest I do anything for the praise of others. Please pray for our team as we began the journey home tomorrow (it is a bit far!). We will drive to Kisumu, then begin our flight, with stops in Nairobi, Amsterdam, and Atlanta, and arrive in Shreveport (Monroe for Dr. Don) Saturday night. Asante sana for all your prayers and support! Habari from the LSU/SHIP team in western Kenya! Our patient load today was rather light, which was something of a blessing–we are running low on medications, and were completely out of basics like paracetamol (acetaminophen or Tylenol at home), ibuprofen, and multivitamins. Jackson was sent on a quest for meds, and returned later with most of what we needed. A trip to our chemist in Bungoma filled out our needs for the last clinic tomorrow. Perhaps more later. It is difficult to type while fighting off these malaria-laden mosquitoes! Habari from the LSU/ SHIP team in Kenya! Today’s mobile clinic was located at the church at Shiengela, further out than any previous clinic site. This church is literally built on a rock, with the ground sloping steeply away in all directions. A gnarled old bougainvillea stands near the front door. In addition to the usual malaria and degenerative joint disease, we saw a lady who was a lifetime smoker with a cough, tachypnea and absent breath sounds on one side; we sent this lady to the hospital for an xray and treatment. One little girl had congenital microphthalmia, probably due to a congenital infection. Another lady had a very large, hard, mobile mass in her abdomen which had been there for several years. It didn’t seem to be attached to any organs, unless it was mesenteric in origin. On the way home, we had an interesting encounter with the local police outside Butere. They stopped both vehicles, and insisted that we had been doing 59 kph in a 50 kph zone. The usual speed limit is 80 kph, and there are no speed limit signs (or any other road signs) on most Kenyan roads. Initially they demanded cash, and when refused, insisted that the drivers take the vehicles to the police station. After a lot of back and forth, we were allowed to continue our trip home. Only three more clinic days left. Tomorrow’s clinic is at Siloba. We appreciate your prayers and support. Our 14th mobile clinic today was at the church at Emakale; again we went far south of home, past Eshitari (which I thought was on the edge of nowhere) for several miles. The county has been “improving” the road, and crushed rock was piled in the road, taking up 2/3 of the roadway; we were forced to drive in the ditch for the last five miles or so. Our patient mix was about the same today, with no really unusual diagnoses. We did see one lady with a blood glucose of 455; she had no idea that she might be diabetic. There were also a few patients with elevated blood pressures; all of these were referred to the hospital for evaluation and management. Random observation–I saw a new Ford pickup in Mumia today. This was unusual, because almost all personal vehicles in Kenya are Japanese; most are Toyotas, with a few Hondas and Isuzus. All motorcycles are Chinese. All tractors are American-made, mostly Ford/New Holland with an occasional Case thrown in. A couple of days ago, Mary asked me what I missed the most at home. Yes, I knew the correct answer to that question! Someone else (a Kenyan) asked me the same question today. Besides friends and family, I miss air conditioning, decent roads, seasoned food, and my own bed. I will probably sous vide a nice, thick ribeye on the first day I get home. I could live in Kenya, but there are many huge advantages to living in the United States. Living in a third world country for a short while certainly makes me grateful for the blessings of our country. On to Lunao tomorrow! Only five more clinic days left. Thank you for your continued support and prayers! Posted in Uncategorized. Tagged Kenya 2016, LSU, LSU/SHIP. 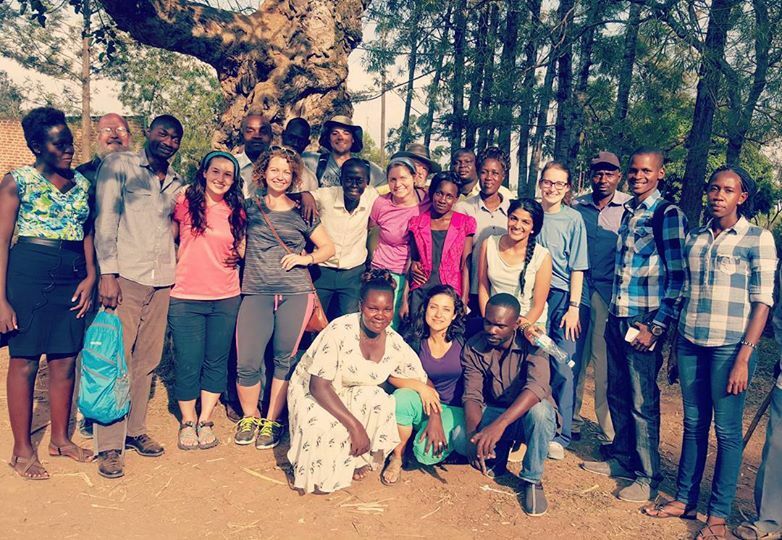 Greetings from the LSU/SHIP team in Western Kenya! We are averaging over 100 patients a day this week, so we are going through medications like crazy. Therefore, another stop at our supplier in Bungoma. Another hot and dusty day of fun! Our mobile clinic today was in Chebukwa, north of Bungoma, at a clinic building built by Bishop Tom __. The building would not hold all of our team, so we set up the pharmacy on the front porch, then three patient stations on the inside, with three more on the outside. There were more children with malaria and jiggers, and more adults with the musculoskeletal aches and pains of a life of hard labor. There was one older lady with congestive heart failure, probably secondary to rheumatic valvular disease. Another young lady had nephrotic syndrome, and had massive ascites (fluid in the abdominal cavity), pleural effusions, and extensive peripheral edema. All of these problems we managed with the limited resources available to us. Sometimes our efforts seem inadequate (to us). There is so much more we could do for some of our patients here if we had the resources available in the United States; learning to do the best we can with what we have, and accepting that we have improved these peoples’ lives at least in a small way, is part of the Kenya experience. Please continue to pray for our team and the folks we are striving to help in Kenya. Greetings from Kabula, western Kenya! I didn’t put up a post over the weekend, partly because there were some events I needed to process before writing about them. My friend and co-worker here in Kenya, Dr. Don Givler, wrote something last night that is perhaps better than I could have done, so I am cutting and pasting it here. After a pause, Ray observes that to paint a mural with happy, safe children reflects a reality that most Kenyan children will never know. The fact is that no one knows what the artist had in mind when he painted the mural. But anyone who has spent time in Kenya knows one message that is implicit in the mural: life in Kenya is hard. This past week our group of medical students, residents, and faculty physicians came face to face with the reality of life in Kenya. On Friday morning, as we were waiting to leave for our mobile clinic, a man arrived with his 8 year old daughter. It was apparent that she was seriously ill. She lay limp in her father’s lap. Her breathing was rapid, and the blood flow to her skin was poor. She was pale, and her liver and spleen were both enlarged. Parts of her medical history were vague, but we learned that she had recently been admitted to the district hospital and had been given a blood transfusion. Her condition had improved and she had been discharged home. Unfortunately, her improvement was only temporary, and her father brought her to us. Her diagnosis was at best uncertain, but her condition was grave. We treated her as best we could, and we urged her father to take her to the hospital. He assured us that he would. 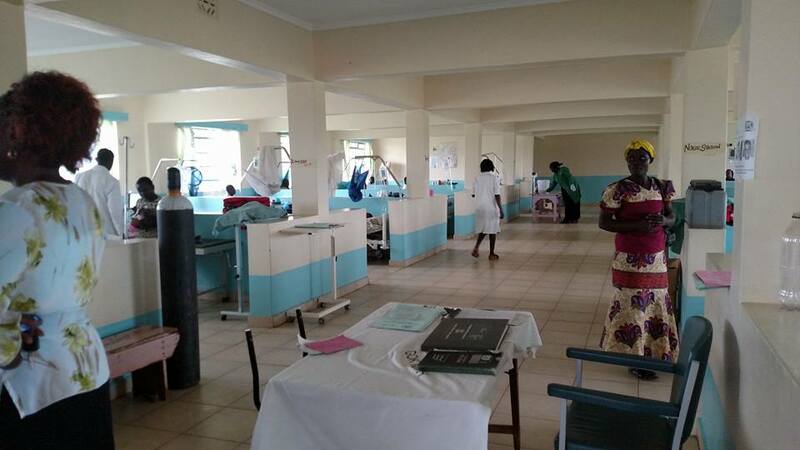 However, later that day when we toured the Pediatric ward at Bungoma District Hospital she was nowhere to be seen. The next day we learned that she had not been taken to the hospital, and later that evening she had died at home. We sat around the dinner table as we processed the news of her death. We had many questions – some expressed, and some silent. For those of us who had previously worked in Kenya her death was very sad, but not a complete surprise. But to some of the others it was both shocking and deeply distressing. For the remainder of the weekend we all grieved in our own ways. 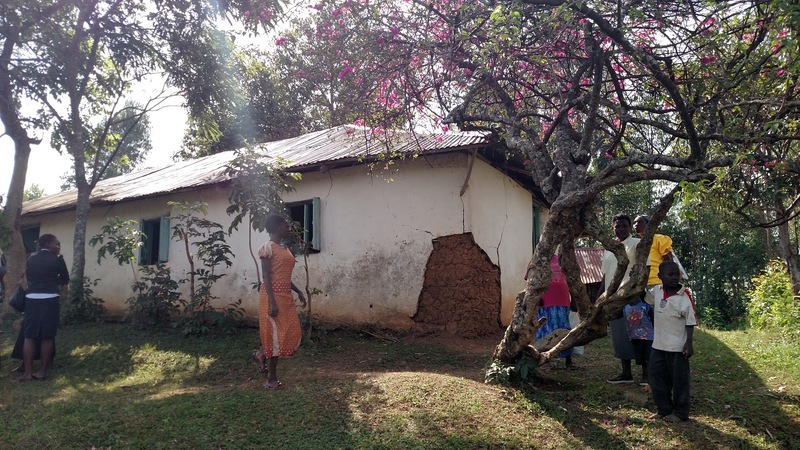 On Sunday afternoon two of the students walked to the viewing at her grandmother’s home. No amount of experience in Africa will remove the sadness resulting from the unexpected death of an 8 year old girl. That is especially true when our western perspective might lead us to the conclusion that her father did not care enough to take her back to the hospital. I do not know why her father decided to take her home, nor do I know if taking her to the hospital would have made any difference. Anything that I could suggest would be conjecture and would not be helpful. However, her story is a reminder that illness and death is a daily reality in Kenya. The resignation with which Africans respond often seems to us non-Africans like passive fatalism. Perhaps it is. But I wonder if it isn’t simply their way of coping with sad realities that are beyond their control. Life in Kenya is hard. Hello from the LSU/SHIP team in Kenya! 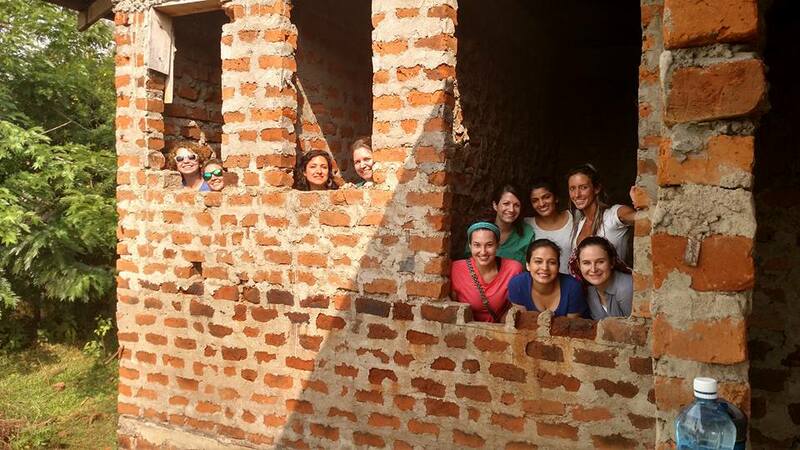 We saw our 2-weeker teammates off for the Kisumu airport and eventually home this morning. The atmosphere is certainly much quieter around here; they will be missed. We will welcome Melissa and Daniel on Sunday. 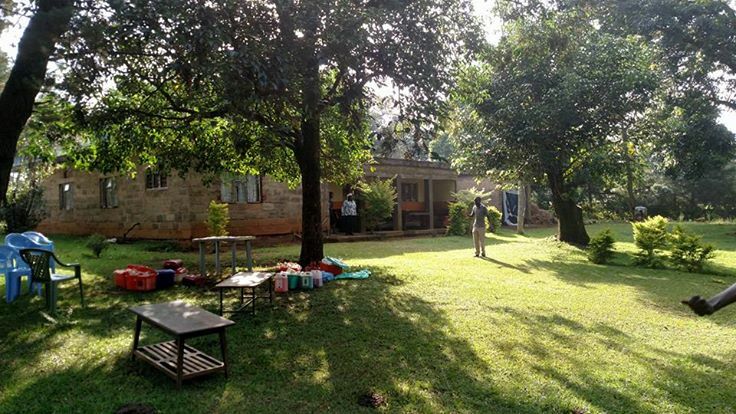 Our 10th mobile clinic site today was on the grounds of the home of Mable Wallwaula; I can’t imagine a more beautiful site for an outdoor clinic. 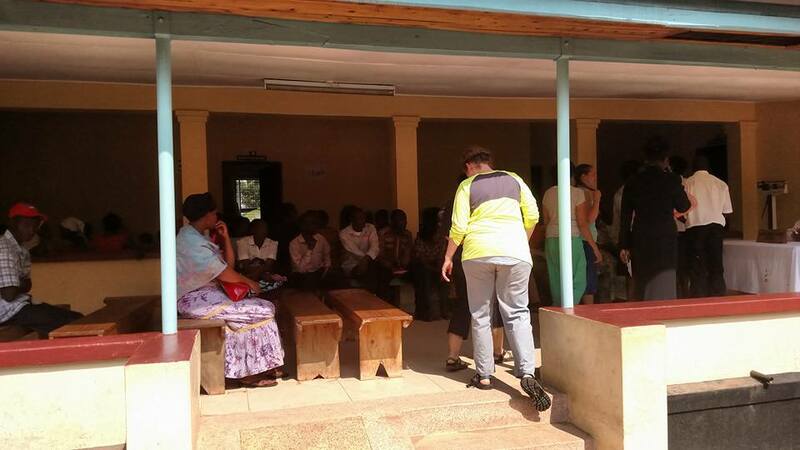 We saw about 50 patients before we had to leave for Bungoma District Hospital. Our visit to the district hospital was enlightening for the volunteers. We were welcomed by the administrator, Mr. Robert Mose, Dr. Mayama, the chief medical officer, and the matron (director of nurses), Veronica Waynon. They could not have been more welcoming or helpful. The limited facilities and technology must be seen to be believed by our American minds. The building is old and shabby, and quite crowded. There is no air conditioning, even in the operating theatre. Specialties are limited to general medicine, obstetrics, surgery, and pediatrics. Imaging is limited to x-ray and ultrasound, and laboratory to basic tests. When asked about performing Hemoglobin A1c’s (considered standard of care for managing diabetes at home), the laboratory director told us they hoped to be doing them soon. There is no true casualty (emergency) department. Emergencies present to the outpatient department along with everyone else. The pediatric ward was separate and down the street, where a new hospital is to be built soon. The ward was new, bright, and clean, and quite roomy. Technology is still limited, but the new building was a huge improvement. Hopefully we will get to see a new main hospital in the next year or two. Another thunderstorm blew in this afternoon, baffling the Kenyans, who keep muttering about this being the dry season. There was thunder and lightning, hail, and strong gusts of wind. I was wondering if I should be looking for a funnel cloud (yes, tornadoes do occur in Africa). And, of course, the electrical power went out. We are looking forward to the weekend break. Dr. Don Givler will be visiting a mission hospital not too far away, and the girls are going to Kisumu to a craft market. Please continue to pray for us as part of our team travels home, and the new and remaining team members continue mobile clinics next week. Today’s clinic was in Malandisia, a sub- community of Bulimbo. We set up shop in an unfinished building, really just a shell of brick, with a tin roof. It was a little rough, but quite airy and comfortable. A thunderstorm blew up in the early afternoon, shutting down our patient supply. We knocked off early, after seeing 46 patients. I noted a couple of things today, one of which was so Kenya, and the other that was just like home. The building we worked in was begun as a community clinic, to be built by the local community and then staffed by the county government. I don’t know how long it has sat there unfinished, but the weeds were over waist high, and the dust on the floors was a good 2 inches thick. During the morning, local community officials showed up with a contractor to get estimates on finishing the building. They excitedly assured me that if I came back in two weeks, the building would be completed. We shall see. As many of you know, I grew up in a rural community in North Louisiana, a mile down a red dirt road, where, as my Dad says, “you have to pipe in sunshine.” One of the things you notice living there, is that if the road grader comes through, it is guaranteed to rain the next day. And when it rains, the electrical power will go out (also guaranteed). Well, the dirt road into the Lubanga compound was graded yesterday. So, of course, it rained today, and the road was turned into a muddy mess. And when we got home, the power was out. Tomorrow Leah, Brittney, Fran, Morgan Nelson, Naiha, and Dr. Amy Givler are leaving for home. Clinic will be at Kolongeki, and we will possibly get a tour of the District Hospital in Bungoma. The LSU/SHIP team traveled south today to Musango church for our eighth mobile clinic day. The trip was about 1 1/2 hours down past the cane fields and the sugar mill. The crowd was light today, but we continued to see kids with malaria, scabies, jiggers, and impetigo. We had some adults with interesting diagnoses: a gentleman with filariasis (elephantiasis), which I had seen only once before; another had a classic case of varicella zoster (shingles); and a 50 year old lady with a large thyroglossal duct cyst. This problem is an embryologic remnant that fails to close, and is usually picked up in childhood. Her cyst is so large because it has had a long time to accumulate the mucoid fluid that makes up the contents of the cyst. The problem can still be repaired, and we referred her to the hospital for care. One lady came by selling sweet bananas, and another selling passion fruit, so lunch was quite tasty, and not limited to beef jerky and nuts, my usual fare. Our pharmacy supply has not been very organized, making it difficult to know what drugs we have on hand,and what meds are getting low and need re-supply. Fran and Brittney were assigned to pharmacy today, and made short work of organizing our meds. On arrival back home, we found that Dr. Amy and Morgan Merriman had cleaned out and organized the pharmacy closet in the clinic building. Hopefully we can keep it that way. Overall, the nice weather, the ideal location, and the light patient load made for a pleasant day. Dinner tonight consisted of lentils, rice, kale, and chapati. Tomorrow is the last clinic day for the students/residents doing the two week block, and for Dr. Amy Givler. We will be in Bulimbo, so come by to see us if you are in the area. If not, another update is planned for tomorrow evening. Please keep us in your prayers. God has blessed us so far with good weather, only minor illnesses and inconveniences, and a great team to work with here in Kenya. No photo with this post; my team members are hogging all the bandwidth! Posted in Uncategorized. Tagged Kenya 2016, LSU School of Medicine in Shreveport, LSU/SHIP, Volunteer Kenya.